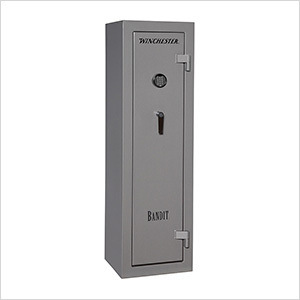 If you have limited space, but need security to protect your valuables, the Bandit 10 is the perfect size gun safe. This American made safe is unmatched in entry level quality, with a longer 45-minute fire rating and a California Dept. of Justice Approved body construction, the Bandit packs plenty of burglary protection and fire safety features.